Delmon Company has the capability to supply and erect structural steel for any project according to any international standard specification. 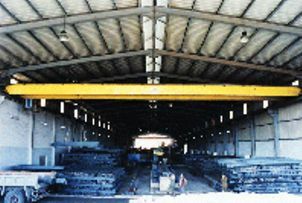 Structural steel applications include (but are not limited to): Electrical Power Plants, Multi- Story and High Rise Buildings, Petrochemical Plants, Oil and Gas Plants and Installations, Desalination Plants, Large Manufacturing Plants, bridges, towers, platforms, pipe racks, over-head crane girders, gantry crane structures and miscellaneous structures. <?xml:namespace prefix = v ns = "urn:schemas-microsoft-com:vml" />Consisting of sandwich panel walls and roofs made out of two slightly corrugated, galvanized and pre-painted steel sheets (or decorative wood panels for the walls interior skin) with injected polyurethane In-between and mounted on a steel chassis with PVC flooring. 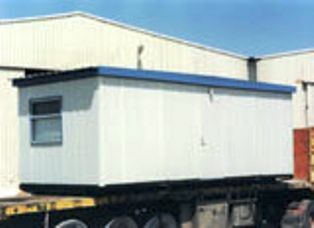 Consisting of sandwich panel walls similar to the skid mounted units. Roofs are made out of steel trusses, rock wool insulation and corrugated sheets with suspended false ceilings on the inside. These larger buildings are assembled on concrete slabs with mosaic tiles on top. Delmon Company has the ability to design, manufacture and erect steel tanks according to any international standard specification. 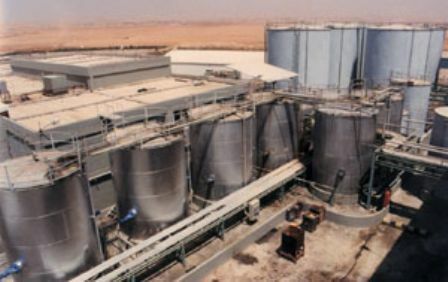 Fuel storage tanks are mostly designed according to API 650, and large water tanks according to AWWA standards. 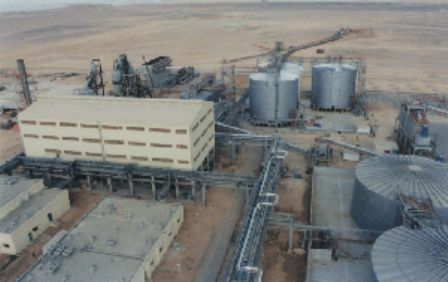 In addition, Delmon Company has the ability to design, manufacture and erect steel silos for bulk storage of a variety of materials such as cement, grains and plastics raw materials. 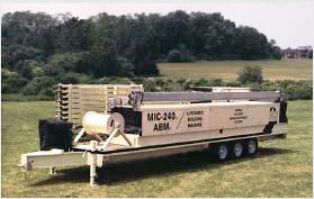 The Mobile, Modular MIC-120 ARM System Produces buildings that meet the most demanding Standards for commercial, industrial, agricultural, Military or institutional use. Pre- painted steel panels are rust — free for easy Maintenance … fire — resistance … literally as solid as Steel. Our patented R-120 automatic panel seaming machine connects straight or arched panels into a solid unit. These are unique and exclusive features of the MIC_120. ARM system produce 60 feet of permanent seams per Minute... No bolts or sealants of any kind are used. The potential for roof leaks is eliminated. 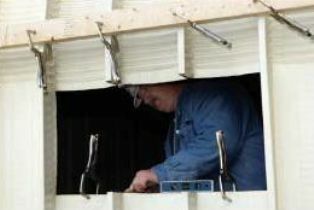 No support columns, beams, trusses, nuts, bolts, rivets or screws are required to erect an ARM manufactured building. 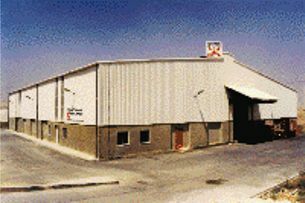 ARM manufactured buildings are easily adapted to almost any design or requirement. ARM buildings are totally waterproof — without the use of sealants. 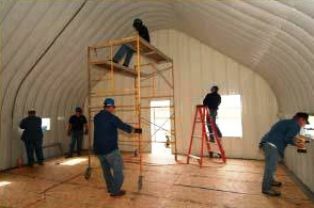 ARM manufactured buildings require virtually no Maintenance — which makes them even more economical. Agricultural Storages. Refrigerated Storages for nutritive products (Potatoes). Military storages. Industrial storages.Schools. Aircraft hangars. Sport arenas. 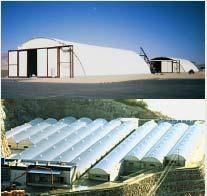 Recreational enclosures. 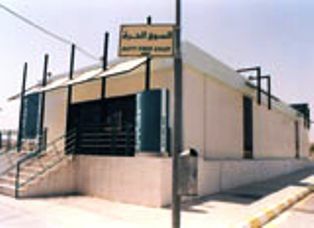 Medical facilities (hospital). Low cost housing. Garages and repair shops. Emergency shelters. Barracks and bunkers. Minimum security prisons and correctional Facilities. The MIC-120 produces galvanized I pre- painted steel multi-purpose buildings that meet or exceed almost any design and performance specifications. The raw materials, steel coil, are shipped from the steel mill directly to the construction site. How the MIC-120 operates in the field? The unique MIC-120 Automatic building machine system allows you to fabricate and erect steel and aluminum buildings with wide (22 meter) at a cost far less than any conventional construction systems. From scorching deserts to frozen mountain ranges, the MIC-120 enables you literally bring a building factory to any construction site where you can drive a truck or land a large cargo plane. 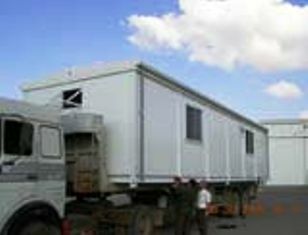 The MIC-120 mobile factory is designed to be a fully self- contained building manufacturing system. 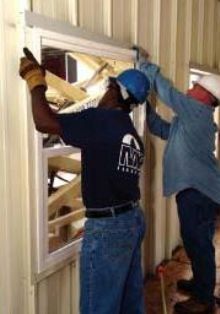 Use of a single raw material (rolls of pre-painted galvanized steel or aluminum), and small crew of 7-12 workers, combined with the system’s mobility , on site construction and overall speed means unmatched advantage in construction costs. M.I.C Industries Introduce The MIC-120 Automatic Building Machine (ABM), With the MIC-120, you are capable of fabricating and erecting (1000 square meter) & (22 meter) wide buildings at the actual construction site.